……well I’m just redecorating my Laundry Room actually. Lets first start with what it looked like when we bought the house. YIKES!!! Yes, that is dirt all over the door and screen door. All that had to be done was clean it and then we had white doors again. We did paint both of them for the time being about a year ago, just so they looked a little nicer since we did work to the outside of the home. This was the old furance and there was a hotwater heater also, but they had removed it already. (we were not living in the house yet, when this work was being done). And yes that is paneling on the walls….don’t worry it came down. Thank god there was drywall behind the paneling. The previous owners washer and dryer. We only used them for our “house working….paint cloths”. 😉 They did still work, but we already had our own new set, so we got rid of them after we moved in. Don’t worry that electric wire hanging down was fixed and put into the ceiling by a licensed electrician. All the paneling is down and all we had to do was repair the wall in a few places. We were hating all the pipes in the room, so we had to come up with a good way to hide them without spending more money to put them behind the walls and ceiling. This is the view looking in from our Family Room which is done already, so the utility/laundry room had to be redone since it’s between two finish rooms. The Family Room and our Outside Room…..yes a backyard can be an outside room. More on that soon. In the background of this picture you can see the then, unfinished Family Room. This is the view from the Family Room right now. Not very stylish at all. And now here is what we did to “hide” or “blend” those pipes into the walls and ceiling. Yup we painted them the same color as the wall and the ceiling. They really fade into the room now. We are really happy with the look and we wish we had done this at least 2 years ago. I’m so much happier when I walk into this room now. Color on the walls is Benjamin Moore Mill Springs Blue (HC-137). It’s a blue/green color. We still have a little more painting to do on the pipes that are near the ceiling, but we have a new door and some drywall work to do, so we figured we would wait until we install the new door. Hopefully we will be installing the new door in a few weeks, once the weather is a little nicer. I also have some ideas on how to hide some of those pipes and tubes even more. Stay tuned. On this wall we ordered cabinets from IKEA. 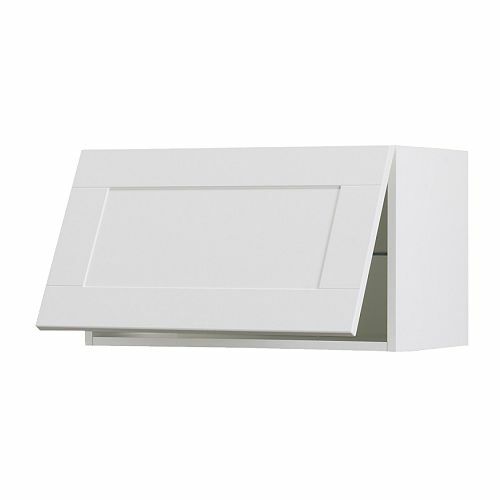 We ordered Akurum Adel horizontal cabinets in white. And we just found out that our order is in. YAY!!! I can’t wait to pick them up, put them together and install them. There is going to be great storage in this room once I’m done with it. There is something else that we are considering to add more storage, but we aren’t sure yet if we are getting it. We want to install other things first before we buy to much for this room. 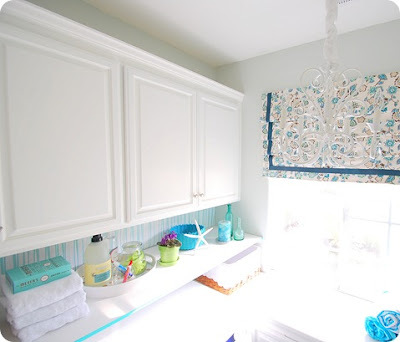 Here are the cabinets we are getting from IKEA. 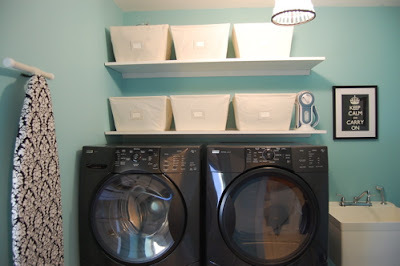 Here are my inspiration pictures for my Laundry Room Makeover. Inspiration is everywhere. ﻿Well stay tuned for the next phase of this makeover. Thanks for stopping by. I would love to hear from you, so please leave a message. Have a great day everyone. I can't WAIT to see what you do with this space! 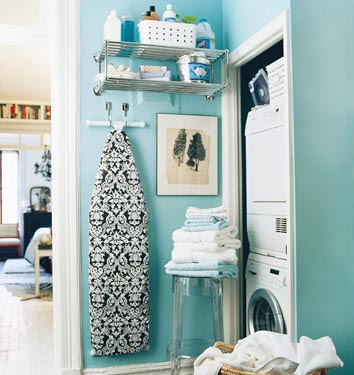 I have quite the love affair with laundry rooms (not with laundry though), so I'm super excited! I love the wall color already! Good luck! Thanks Chris. I have another post coming up with more updates on this room. Thanks for stopping by.